Industrial Automation & Enclosures Inc.
* QTY discount and reseller pricing available. Call or e-mail for your price quote. 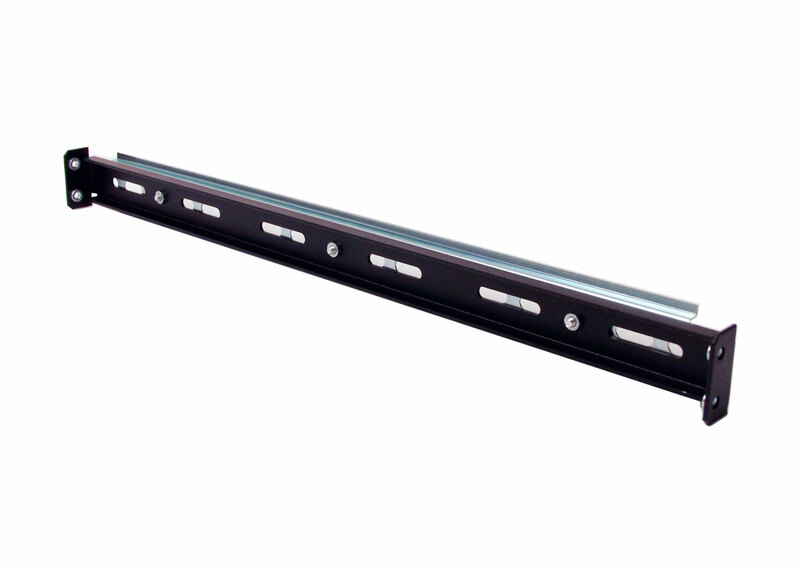 IRP101D 1U Din Rail Bar is design to be compatible with IRP208DB series DIN Rail box. Each IRP208DB Din Rail box has predrilled vertical mounting holes at front, center and rear location on the side brackets. 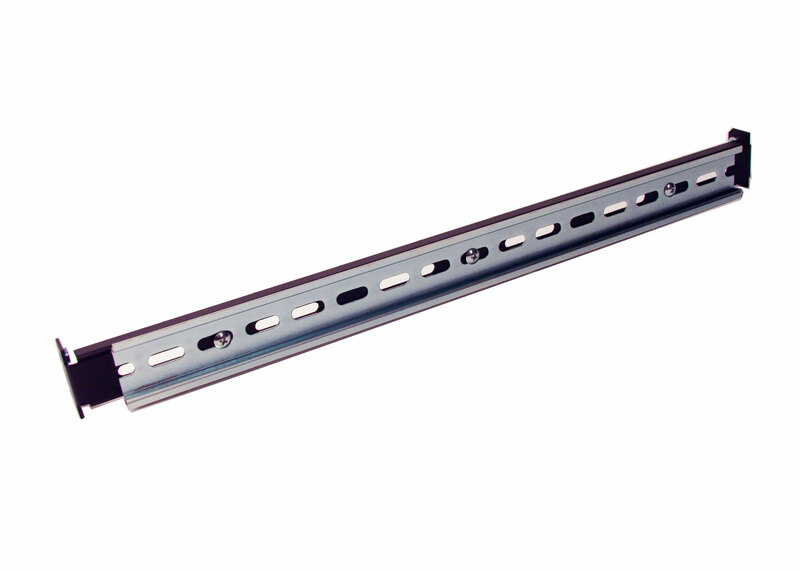 These mounting holes are fully compatible with IRP101D 1U Din Rail bar. IRP101D can be install in almost any position to utilize unused space in the DIN rail box. This gives ICP designer ability to pack more controllers, switches, relay, PLC and power supply in a compact space. In addition, DIN rail on IRP101D is removable. IRP101D has 6 OB slots which allows you to custom mount PVC Wire duct, power supply or other equipment with mounting using M4, #10 and #12 machine screws. Additional flange on both side makes IRP101D strong and sturdy. In short, IRP101D gives you more flexibility for your design, shorten prototyping lead time, and it can help you to reduce your overall production cost. (2) M4 PEM nuts mounted on right and left side. Mounting Hardware Included (4) M4 screws. Dimension W x H x D 17.24" x 1.47" x 1.083"
© 2018 Copyright: Industrial Automation and Enclosures Inc.